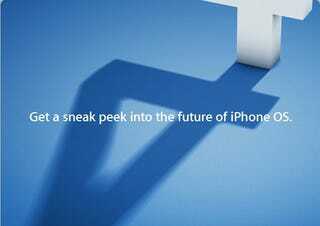 Apple's just sent an invite "for a sneak peek of the next generation of iPhone OS software" on April 8 at 10AM Pacific. That's in three days! We'll be there. Start your predictions now.